Synopsis: When Itsuko woke up in the health room after fainting from her UV ray allergy, the person looking after her was none other than her popular classmate, Miyano the sun harbinger. “If you’re feeling better…will you go with me to the summer festival the day after tomorrow?” Slightly nostalgic and mysterious, this is a pure love story for young adults. 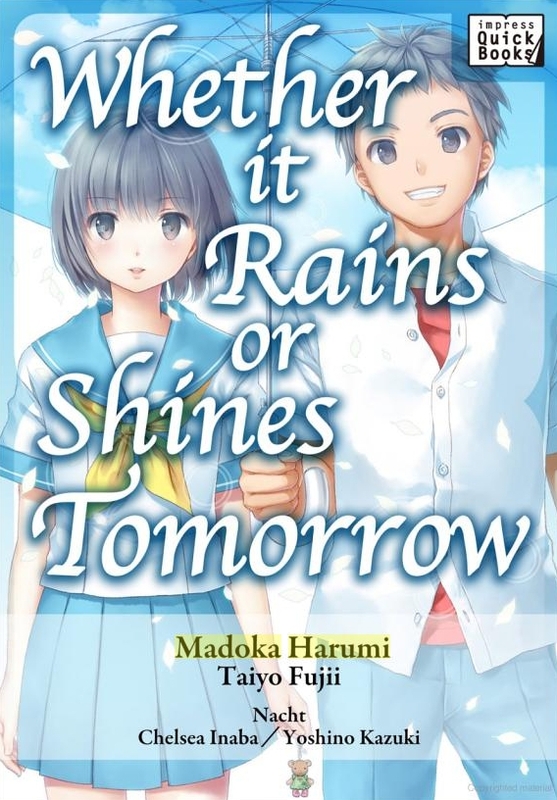 Note: English editions of Whether it Rains or Shines Tomorrow are currently available only in digital ebook formats. This story is a “light novella,” so it is shorter than your typical light novel.